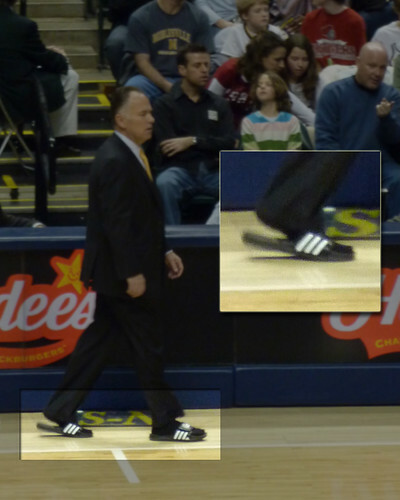 At the Indianapolis Pacers game last night, we noticed that head coach Jim O’Brien — while dressed in a suit — was wearing Adidas flip flops. Apparently, this wasn’t his first time doing it as I also found this AP photo. We also saw Larry Bird in his normal seat and Subway’s Jarred Fogle.